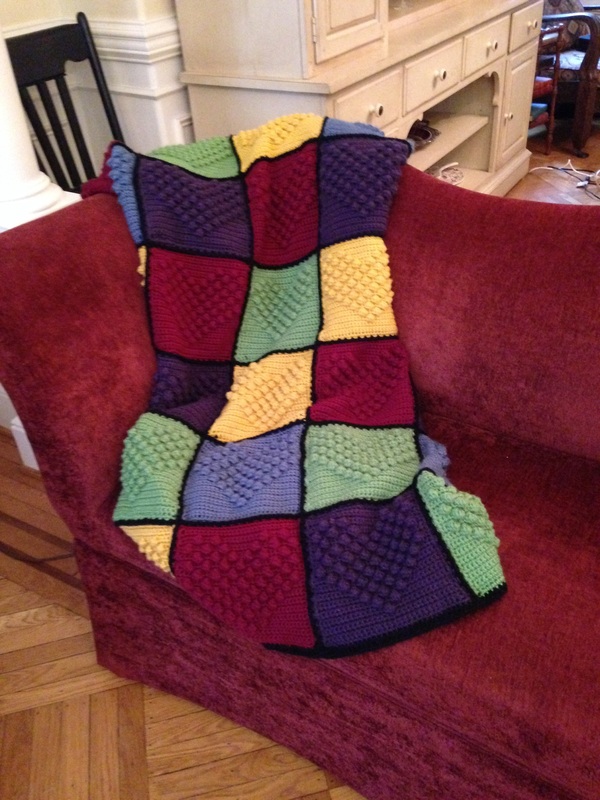 description: I created this afghan for my husband. The original pattern is from Ravelry.com but I made changes to the heart to make it deeper. that's so sweet! i like the color patterns you created. the burgundy matched the color of the couch so nicely. and the bright yellow, light green and light purple adds the fun element to the piece and also balance with the darker purple and the burgundy.